Phoolka, who represents Dakha assembly constituency near Ludhiana said that he will send his resignation to the Speaker, Punjab Vidhan Sabha and a copy of the same to the Election Commission of India at Delhi on Friday. Aam Aadmi Party MLA H S Phoolka has announced that he will submit his resignation to the Punjab Vidhan Sabha Speaker Friday in protest against the failure of the Congress government to arrest former DGP Sumedh Singh Saini and former CM Parkash Singh Badal in sacrilege and Behbal Kalan police firing case. He said that Friday an important case pertaining to 1984 riots is listed in Delhi High Court, therefore, he cannot come personally to submit his resignation. Phoolka, who represents Dakha assembly constituency near Ludhiana said that he will send his resignation to the Speaker, Punjab Vidhan Sabha and a copy of the same to the Election Commission of India at Delhi on Friday at 3 pm. The MLA had earlier announced on September 1 the Punjab government should initiate criminal cases against the then DGP Sumedh Singh Saini and then CM Prakash Singh Badal within 15 days or else he will resign. He had stated at the time that if the criminal cases are not initiated then the five Punjab ministers who raised hue and cry over role of Badals during the Assembly session should resign and that he too will give his resignation. 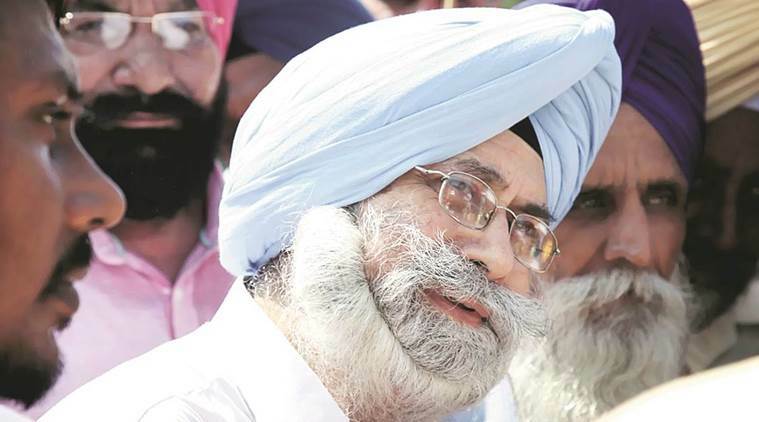 Thereafter, Phoolka postponed his decision of resigning after the Punjab and Haryana High Court granted stay to four police officials on October 13. “Today in the writ petition filed by Sumedh Singh Saini, the High Court has made clear that there is no stay against initiating criminal proceedings against Saini or carrying out investigation against him. The High Court has only directed the state government that in case the police decide to arrest Saini then one week’s prior notice should be given to him. That means neither there is any stay against investigation nor any stay against arrest, only seven days’ notice is to be given,” said Phoolka. He further added that now it was clear that there is no legal impediment against initiating criminal proceedings against Saini or Badal. “But unfortunately, the Congress government is not taking any action as they have dishonest intentions. Congress government is shielding the guilty. Under these circumstances, I have decided to resign from the post of MLA in protest of failure of the Congress government to punish the guilty,” he said.